January 21, 2015 (Tokyo, Japan): Japan Display Inc. (JDI, President and CEO: Shuichi Otsuka), a leading global supplier of small- and medium-sized displays, announced today that it will expand module production capacity for automobile displays at Kaohsiung Opto-Electronics Inc. "高雄晶傑達光電科技股份有限公司" (KOE*, President: Oliver Chang), from 180,000 modules/month to 450,000 modules/month by the March of 2017. Today, the number of displays installed per automobile is on an increasing trend as more electronic systems, such as for navigation, driver-assist safety, and network connectivity, are deployed. Our prediction is that the annual growth rate of displays used in automobiles will continue to be more than 10% for many years. JDI has been reinforcing its automobile business through the implementation of many measures, namely, by assembling its automobile-related resources to the JDI Tottori Plant, by establishing a new office in Detroit to strengthen support in the USA market, and by introducing cutting-edge products such as "IPS-NEO", "Pixel Eyes", corner-cut displays, and curved displays. As the result, it is assumed that JDI's revenue for automobile business in FY2016 will be about 1.5 times that of FY2013 and by FY2018 JDI aims to more than double it versus FY2013. 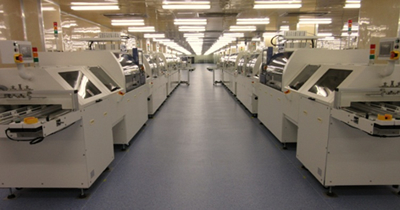 The expansion of module production capacity is one of the key measures to achieve this growth. KOE has high-quality and high-technology display production developed through the abundant experience of producing displays not only for automobile use but also for industrial display use, such as for high-end medical monitor applications. KOE has received ISO9001/TS16949 quality management system certification which is required for manufacture of automobile-related products. JDI decided to expand KOE's production capacity from a business continuity perspective also, to have back-up automobile display module assembly plants to meet customers' expectations for disaster recovery and continuity of supply. KOE is setting new machinery and ramping up production from May 2015 onwards. 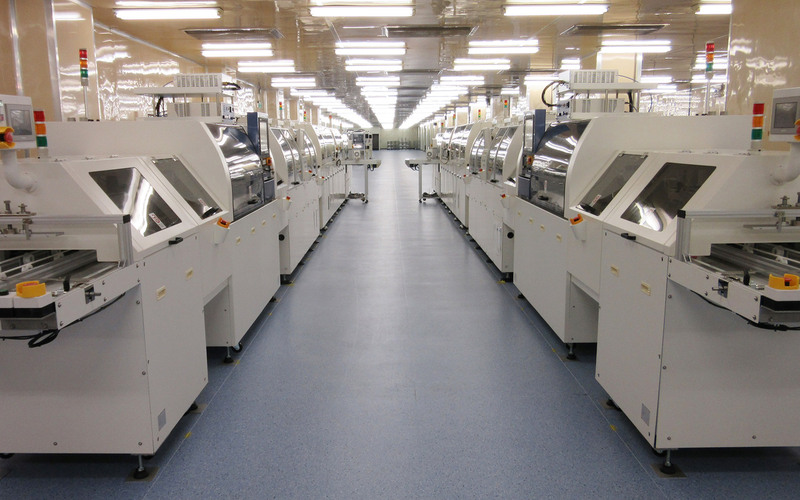 After the production capacity expansion, KOE will produce more than one-third (currently, it is less than one-fifth) of JDI group's middle-size (over 7-inch) automobile displays, and will become the second largest plant within JDI group for middle-size automobile display module assembly. For middle-size displays we need to assemble more components parts than for small-size (around 4-inch) displays, and thus JDI will introduce automatic machines to assemble various parts and realize high production line efficiency. Through this expansion and other measures, JDI group will continue to deliver high-quality and high-reliability displays with high contrast, high luminance, low power consumption, sophisticated design, etc., for the global automotive market. * KOE (headquarters: Kaohsiung Taiwan, formerly Kaohsiung Hitachi Electronics, Co., Ltd.) became a wholly-owned subsidiary of JDI in 2012, supplying special industrial displays for high-reliability applications. KOE's global sales and marketing operations are supported by KOE Europe Ltd., KOE Americas Inc., and KOE Asia Pte Ltd.
"IPS-NEO" and "Pixel Eyes" are trademarks of Japan Display Inc.
Japan Display Inc. (JDI) is the leading global manufacturer of small- and medium-sized display panels and has the world's largest manufacturing capacity for LTPS LCD panels. JDI develops, designs and manufactures displays that provide high resolution, low power consumption and an ultra thin structure for application in smartphones, tablets, automotive electronics, digital cameras, medical equipment and other electronic devices. The company's major customers include leading consumer electronics manufacturers and other well-known global companies. JDI was formed through the consolidation of the display panel businesses of Sony, Hitachi and Toshiba and commenced operations on April 1, 2012.